You’ve arrived home after a long day at work. You’re tired and just want to kick back with a cold beverage. You press your garage door opener and – nothing happens. You hit it again. Still nothing. After a few minutes of troubleshooting, you discover what you feared: Your old garage door has finally quit working. No need to worry. The highly trained and experienced garage door installers from 31-W Insulation can help. At 31-W Insulation, we never use subcontractors or day laborers. All of our installers are our trusted employees. This way, we can ensure that every job we undertake will be completed according to our stringent workmanship standards. It’s one of the many reasons that our company proudly maintains an A+ rating from the Better Business Bureau. No matter which options you choose, your new garage door comes with a robust manufacturer warranty, in addition to a one-year labor warranty we provide for your peace of mind. 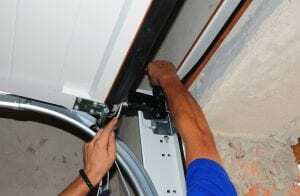 Want our expert garage door installers to replace your door in Tuscaloosa? Contact us today for a consultation.